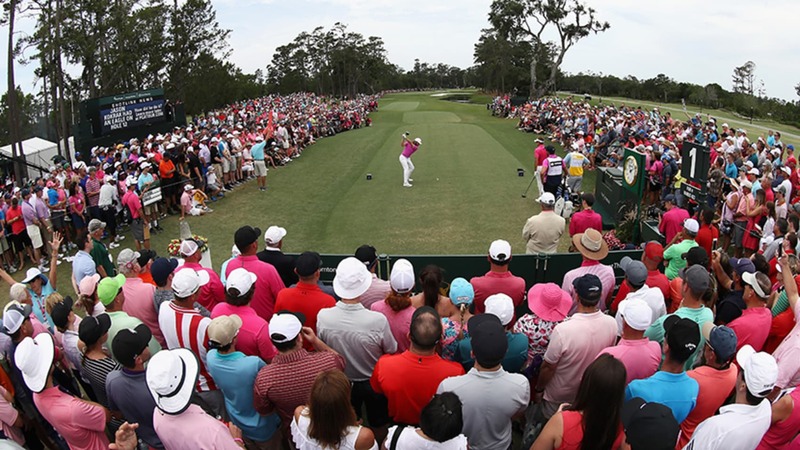 Earlier this week, NBC Sports struck a multi-year partnership with the PGA Tour to bring its PGA Tour Live product, an over-the-top live streaming offering, to NBC Sports Gold, it’s own direct-to-consumer streaming service. The deal, which applies only to U.S. customers, adds rights to all of PGA Tour Live’s Thursday and Friday morning coverage from 28 events, starting with the CareerBuilder Challenge in January, featuring THE PLAYERS in March, and running through the FedExCup Playoffs in August. It also serves as a notable industry shakeup as PGA Tour Live, the PGA’s existing over-the-top streaming product which launched in 2015, is currently operated by Disney’s BAMTECH. Now, by moving over to NBC Sports, PGA Tour events will be backed by NBC Sports Digital and Playmaker Media technology. In addition to live coverage of select Thursday and Friday morning sessions, the platform promises to feature real-time highlights, full round replays, and recap programs. Pricing options for the new PGA Tour Live are not yet available. Expect an announcement sometime in January of next year. • Pre-game Show: a 30-minute preview program that leads into the morning’s live competition coverage. • Featured Groups: early round coverage on Thursday and Friday prior to Golf Channel’s afternoon television window. Featured Groups coverage follows two concurrent, high-profile groups throughout their 18-hole rounds. To-date in 2018, PGA Tour Live has featured entire rounds (outside traditional televised windows) of Tiger Woods, Dustin Johnson, Jordan Spieth, Justin Thomas, Rickie Fowler, and dozens more. • Featured Holes: live coverage of some of the PGA Tour’s most iconic holes, concurrent with Golf Channel’s television window (traditionally from 3-6 p.m. ET). • Integrated Statistical Feeds: Users never have to leave the action with integrated live leaderboards and player scorecards. • Comprehensive Viewership Experience: Streamlines the PGA Tour viewership experience by providing golf fans a continuous platform for streaming via NBC Sports Gold for PGA Tour Live’s, Golf Channel’s and NBC Sports’ coverage windows. • Featured Player Recaps: Users can get caught up on the day’s action with new condensed rounds from each player in the Featured Group coverage. • Event Recaps: Watch an event recap in an hour-long cut down show that highlights the best of that weeks’ tournament. With the acquisition of this property, NBC Sports adds another blue chip to its lineup that sits behind its NBC Sports Gold paywall. In addition to PGA Tour Live, NBC Sports Gold [which first launched in 2016] includes packages for fans of the Tour de France, Premier League, Rugby World Cup, Boston Marathon, Pro Motocross and (coming in 2019) IndyCar. The product can be streamed across desktop, Android and iOS devices, and Apple TV with planned expansions to Amazon Fire TV, Chromecast, and Roku coming next year.